The L.A. Times reports that Pitt's production company, Plan B, is co-producing the adaptation, and Brad's planning to get his general on. Hastings, the phenom reporter who died last year in an L.A. single-car crash, vaulted to greater fame with "The Runaway General," a 2010 Rolling Stone profile of McChrystal that painted the Afghanistan war commander and his entourage as grumpy, jaded renegades with a penchant for cheap longnecks and no kind words for their civilian political overseers. A year later, McChrystal was "retired," Hastings had a Polk Award, and the article was expanded into The Operators. 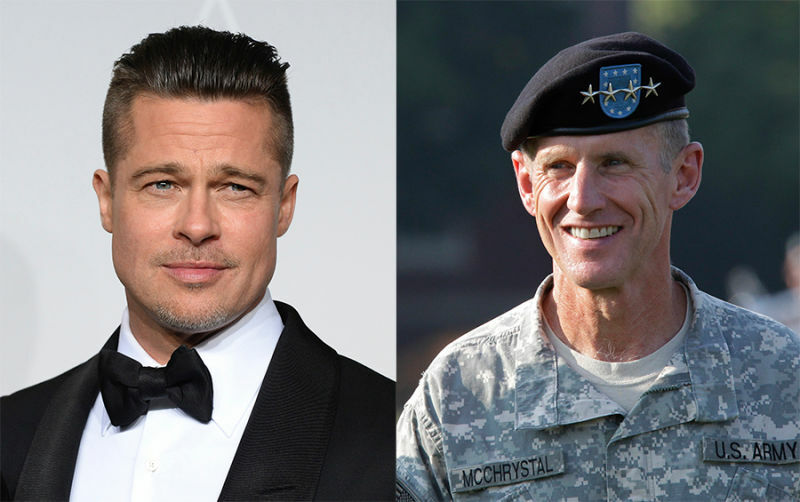 Pitt's done scratchy U.S. war generals before, and he loves playing real-life dudely dudes, so the McChrystal bit may not be too much of a stretch. But is there any appetite for an Afghanistan movie among a populace that couldn't give two hoots about South Asia and thinks the war was a complete waste? Probably not. But then again, that might work to the advantage of a flick that plays up Hastings' deep, sardonic take on the whole affair.